Despite the level of difficulty set by course designer Uliano Vezzani there were more than expected clear rounds due to the high calibre field. And British rider Scott Brash (GBR), who won last weekend’s LGCT Grand Prix in London, suffered an unusual mix of faults and a refusal putting them emphatically out of the jump-off and any chance of climbing up from 6th on the overall ranking this weekend. 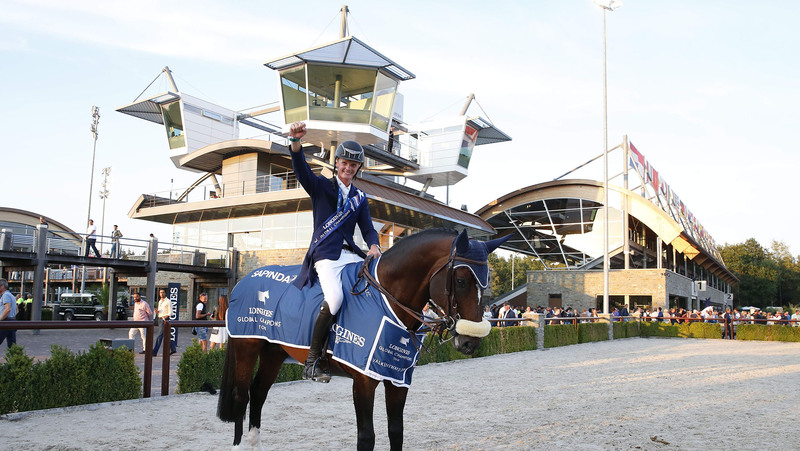 Another impressive performance was delivered by Simon Delestre (FRA) as the French star and his champion horse Hermes Ryan flew through the Longines triple combination and polished off a formidable clear round. They were followed by a super slick faultless round from Eric Lamaze (CAN) and Fine Lady 5. A powerful performance from Christian Ahlmann (GER) and his 11-year-old Tokyo added another spectacular combination to the jump-off. Adding to a stunning line up for the jump-off Marcus Ehning (GER) and Cornado NRW showed characteristic finesse going clear and Nicola Philiippaerts (BEL) and H&M Harley v Bisschop powered round to finish on a clean sheet.